One of Craniosacral therapy’s most frequently appreciated qualities is its capacity to rapidly resolve some problems that babies have. 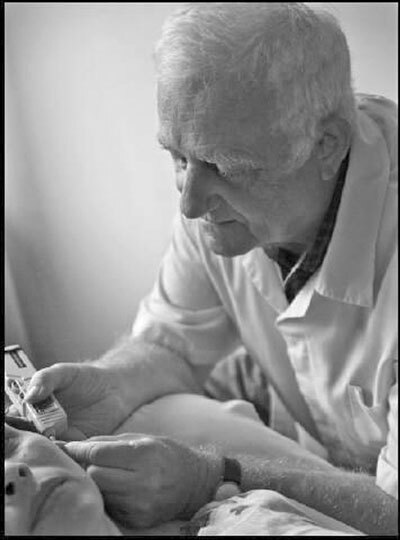 To find out more, the best way is to talk with people who have already brought their child to a Craniosacral therapist. Some of the difficulties that babies can have are due to the compression the baby undergoes during birth. Parents are frequently relieved and amazed by the improvements resulting from Craniosacral sessions. CranioSacral Therapy (CST) is a -on approach that releases tensions around your head, neck diaphragm and spine. This allows gentle, hands your whole brain and nervous system to function at its optimum creating a great relieve from pain and dysfunction while improving whole-body health and performance. Scientists and doctors agree, more and more, that meditation is having a direct impact on the way the brain is ‘wired’. There has, in recent years, been a dramatic rise of the research and testing of meditation and the exact effects meditation can have on the brain and the heart. This connection helps to build up immunity and prevent diseases. Meditation is a reliable medication that has no side effects but can bring slow healing through the nervous system. There are various forms of meditation, all of which have separate characteristics that offer a unique method for healing. Stress has been proven to result in depression and fears. That depression from excess stress can result in physical injuries and negative health disorders such as heart disease. Meditation is proving to reduce the risks of such conditions by first reducing the stress. When your bran is relaxed, a dramatic improvement to your mental health occurs, which, in turn, reduces the risks to poor physical health as well. Working with many different holistic modalities over the years and with many people with different types of health concerns, reflexology has been a powerful healing tool for a variety of reasons. Why do people love reflexology so much? Bottom line–it is totally relaxing. 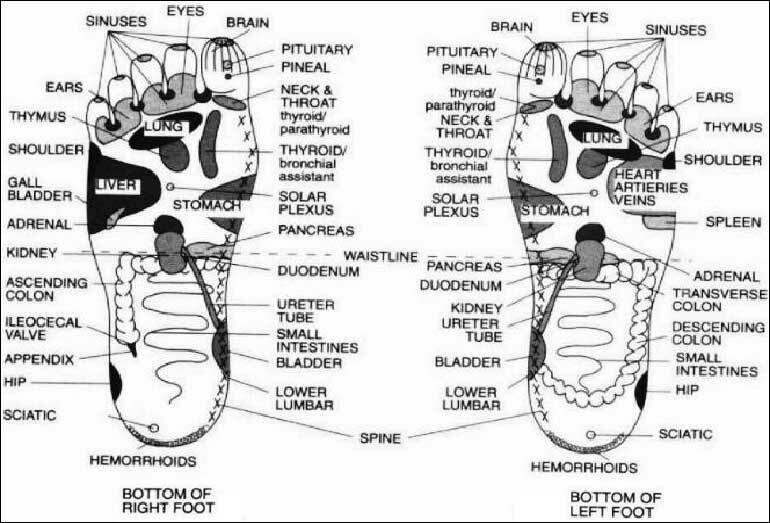 Reflexology works the whole body through the feet, so the patient does not need to turn over, undress, or use oils. Pilates is essentially a body / mind conditioning method created by Joseph Pilates whom actually call it Contrology. Contrology, known today as ‘Pilates’ is a Method for whole health, ‘whole’ body movement, rehabilitation, re-education and complete wellbeing. Pilates connects you to a whole and efficient strength that support and move you as ‘one’ with power and grace. Enhancing, accelerating and maximising your physical and mental performance, it brings about your greatest potential in both movement and Life. Sensorimotor psychotherapy is supporting many of us to heal naturally from trauma and hurtful, life experiences! For more information and free consultation, please call Holis Wellness Center at 2777-09-29 or visit us on the web at www.spaholis.com. Auricular Therapy is based on the principle that correct stimulation of the precise pinpoint-sized pressure points located on the ear result in a powerful healing response in corresponding limbs and organs of the body. The stimulation causes the body to release anti-inflammatory and anti-anxiety chemicals and hormones. It also dilates or constricts the blood vessels to improve circulation or stop bleeding and to increase white blood count amongst many other powerful effects. As a responsible wife of a dedicated Surfer and Yoga instructor, this class for surfers has evolved. Seeing my highly athletic husband and surfer starting to complain after his surf sessions of knee, back or other pains, I felt alarmed. After talking to other long-time surfers and doing some research, I found these complaints to be common side-effects of many years of surfing. We put our heads together and committed to many more years of injury free surfing. From this “Yoga for Surfers” here in Manuel Antonio has evolved. Yoga and surfing seem like such a natural fit. Both demand from the body and mind extreme balance, endurance, acuity, stamina, and fluidity. Our classes combine many disciplines of Yoga into a routine that targets surfing and its specific muscle groups. We train to simultaneously achieve power, flexibility and balance. This approach changes the way all parts of our body flow and work together. Someone once said, “Surfing is like Yoga on the water. You engage your body, mind and spirit.” Getting yourself into a routine is sometimes hard at first, but once you start to see your surfing improve, you will love every minute of your Yoga program. I am always fascinated how life has a way of guiding you in a particular direction, often without asking you first. I didn’t start out to become an acupuncturist. My first passion was biology and the study of what makes living things tick. It always amazed me how much is going on inside our body right now that we are completely unaware of. Even something simple like breathing involves millions of chemical reactions and has taken millions of years to evolve. It was with this in mind that I embarked on a degree in Neuroscience at aged 19. There is so much we don’t understand about how the brain and mind works. Scientists can’t even agree on what it means to be “conscious”. I wanted to get involved in research that was attempting to answer some of these big mysteries. However fate had a different idea for me. While at university I started to suffer from insomnia. Someone suggested I try acupuncture and I thought I might as well give it a try. As I pondered over the close of an old year and in quest for capturing the most in the year to come, I decided to revisit some Yoga books that have encouraged my journey and inspired me along the way. Even after studying Yoga for over 14 years, I still love going into the basics and principles of Yoga to reflect and reconnect. Most of what I have learned about myself and how I move through my days and in relationship, I have learned on my Yoga mat. This ancient art when practiced with dedication becomes a figurative expression of what is literally going on in my life, so I can see more clearly and decide how I want to be. One thing that I know for sure is, if I need to see the joy in my life, it becomes more obvious after my Yoga practice. If I have muscular tension or a lot of stress, I go to the mat and it is literally transformed. If I need space or even an attitude adjustment, I show up fully to breath and workout hard to detox my mind, body and spirit. Yoga has become such a resource to me to live and live well. For this reason, I am inspired to share with you more about Yoga. I will leave you with a quote from and amazing Yogi that has taught me so much and then I will hope to see you in the studio. Namate. Shelley teaches Fusion Yoga for all levels at Holis Spa, Tuesdays and Thursdays at 7:30am and again at 9:00am and Yoga for Surfers every Wed at 9:30am. To reserve your spot call 2-777-09-39 or www.spaholis.com. In my practice as Holistic practitioner and Body Worker I see many people with lower back pain. There can be many causes of back pain and finding what triggers it is crucial for long lasting relieve. I believe that a real solution for any health issue needs to be found by addressing our being as whole. Body mechanics unbalance, unhealthy inner chemical balance and emotional discomfort can all participate to create diseases and pains. While long lasting results can require a professional assessment there are few simple tricks that can help you managing lower back pain. Costa Rica changed everything for me. I was a suburban London girl whose closest experience to wilderness had been the placid, ambling hills of the English countryside. They are quite charming but at 23 I wasn’t looking for charming, I was looking for great adventures in far-flung lands, challenges and discoveries. So I came to Costa Rica and here was a land that appeared untameable. All those fierce rivers with their fierce will to flow, flanked by luxuriant rainforest, all the heavy mango-scented air. I swear I could even feel the earth’s pulse beneath the clay-rich soil. I ate rice and beans, my feet got dirty, my hair wild. I had found my place.